30 Thirty North Ocean is a chic-urban, beach lifestyle condominium located in the upscale Lauderdale Beach neighborhood in Fort Lauderdale. A boutique, five-story, luxury condominium development, it consists of just 24 “penthouse style” condo units, each with unique 3 bedroom and 3½ bathroom floor plans. 30 Thirty offers the rare opportunity to live the “beach-side lifestyle” in an upscale single-family home community, with all the conveniences of luxury condominium living, yet at approximately half the price of this exclusive neighborhood’s typical single family home. 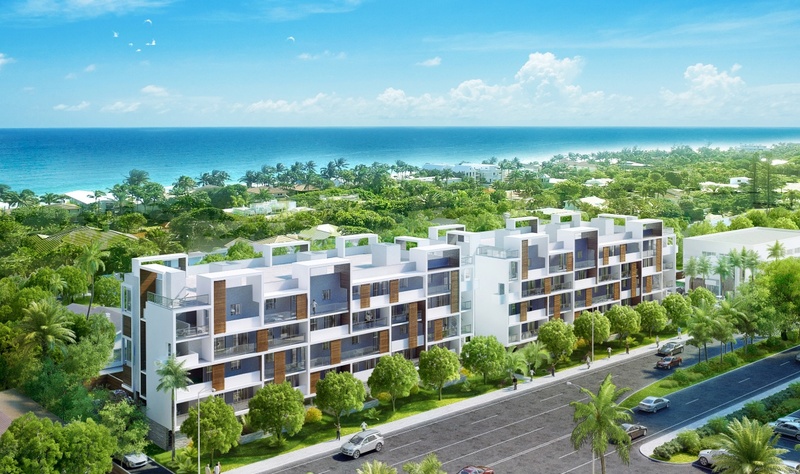 The contemporary design of the condominium is by award-winning Adache Group Architects, boasts large open balconies for a convenient outdoor living, over-sized open floor plans, private elevators opening directly to each unit, and two parking spaces per residence. Amenities include a heated resort-style swimming pool, whirlpool spa, sauna, and a fully equipped clubhouse with fitness center. Within walking distance of the beach, dining, shopping, entertainment, marinas and more, 30 Thirty North Ocean is an ideal combination of oceanside serenity and metropolitan lifestyle in Fort Lauderdale.